My mother Jean Bethine Church 2-19-1923 to 12-21-2013 passed away at 6:15 PM tonight from old age. She had been on home hospice for the last two weeks. Myself and my wife Pam were by her side. She passed peacefully listening to Christmas music and looking at a Poinsettia and candle. She wasn't in any pain and she always wanted to pass at home and not at a hospital or care center. Born Jean Bethine Clark in Mackay, Idaho in 1923, Bethine Church was the daughter of an Idaho governor and federal district judge, Chase Clark; the niece of Idaho Gov. Barzilla Clark; and the cousin of U.S. Sen. D. Worth Clark. A graduate of Boise High School, where she met Frank, she held a bachelor’s degree from the University of Michigan. The two were married at Robinson Bar Ranch, the Clark family ranch in the Sawtooth Mountains, in 1947. They had two children, Frank Forrester Church IV, a minister, theologian and author who died in 2009, and Chase Church. Frank was an Idaho senator from 1957 to 1981 and a candidate for president in 1976, when he lost the Democratic nomination to Jimmy Carter. He chaired the Church Committee in the 1970s, which held ground-breaking hearings on CIA and FBI abuses in intelligence-gathering and covert operations; Bethine was his partner in all things, earning the nickname "Idaho's third senator." 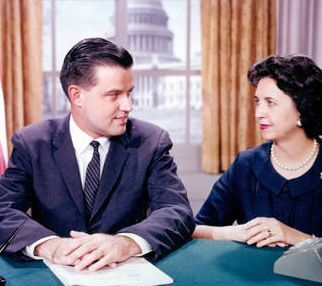 BOISE, Idaho (AP) — Bethine Church, matriarch of the Idaho Democratic Party and wife of the late U.S. Sen. Frank Church, has died. She was 90. Her son, Chase Church, said she died at about 6:15 p.m. Saturday of old age after two weeks on home hospice, listening to Christmas music with he and his wife, Pam, by her side. Bethine Church traveled the world with her husband, campaigning with him four times for senator and once for president in 1976. The daughter and niece of former Idaho governors, she was often called the "third Senator" from Idaho because of her active participation in public life during her husband's tenure in the Senate. "She always loved to entertain when I was growing up," Chase Church said Sunday. "A lot of famous people came over to have dinner, movie stars or different politicians." She met every American president from Franklin Roosevelt to Bill Clinton. "I was born to politics," Church told The Times-News in 2003. "It's part of me." Church became a widow in 1984 when her husband died of cancer at the age of 59. She remained in politics, becoming the elder stateswoman of Idaho Democrats, and continued to work on those things most important to her. That included education, promoting home health care and preserving Idaho's rivers and landscapes through the Sawtooth Society, the nonprofit organization she founded. Church sat on the board of the Wilderness Society, founded the Frank Church Institute at Boise State University, which hosts yearly public policy conferences, and helped establish the Anne Frank Human Rights Memorial in Boise. She only considered running for public office herself once, in 1986 for the U.S. Senate, but then bowed out when then-Gov. John Evans announced his bid. "I'm better as a backup person, I think," Church said. In 2003, her autobiography, "A Lifelong Affair: My Passion for People and Politics," was released. Church told Idaho Public Radio she wanted to write the book for her grandchildren so they'd know more about her and her husband's political adventures. A Democrat who compared her party's struggle in Idaho to salmon swimming upstream, Church's origins are found in the most Republican part of Idaho. Born Jean Bethine Clark on February 19, 1923, in Mackay, she grew up in Idaho Falls, where her father and grandfather were mayors. In high school, she met Frank, a champion orator who went to Stanford University but left after a year to join the Army. When he was discharged in 1946, she had graduated from the University of Michigan and was engaged to somebody else. "When I told him I was having cold feet about Milt, he said 'Then marry me,' and I said, 'Yes.' It seemed so natural, like it was bound to happen," Church said in a 2003 interview about her autobiography. The couple had two children. She lost a son, the Rev. Forrest Church, to esophageal cancer in Sept. 2009. Church was awarded an honorary doctorate from Boise State University, where previous honorees include NASA astronaut and former Idaho elementary teacher Barbara Morgan. Accepting her award at the age of 86, Church acknowledged she had trouble standing but said she never grew tired of discussing politics or reading about current events. She recounted growing up on a ranch on the Salmon River and in Boise, becoming a senator's wife, meeting celebrities, dignitaries and one evening, cooking dinner while Marlon Brando played pool with her husband in the other room. "I could not have imagined that I would travel the world and meet leaders like John F. Kennedy, Fidel Castro..." she said. "I only mention these because today you have so many opportunities that did not exist for a girl from Idaho in the 1940s." Bethine Church, an only child, is survived by her son Chase and his wife, Pam, six grandchildren, and three great-grandchildren. Funeral arrangements and a memorial service are being planned. Biographical material in this story was written by former AP staffer Jessie L. Bonner.